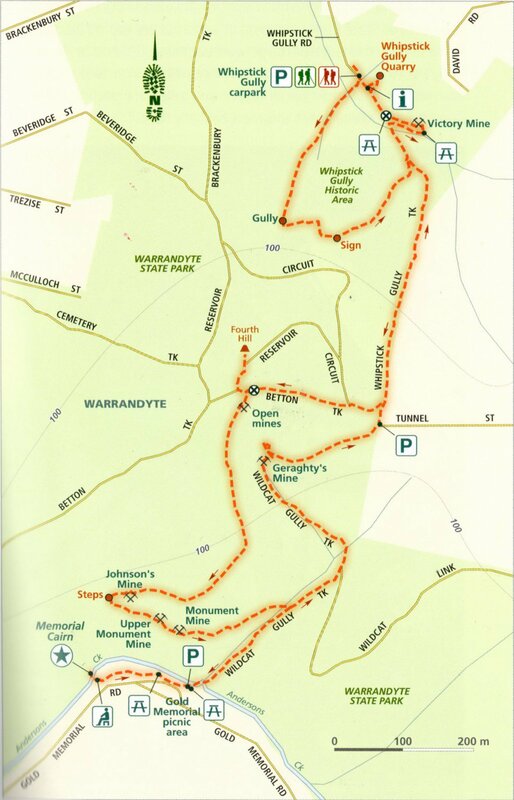 Warrandyte Goldfields Walk map from Top Walks in Victoria by Melanie Ball. 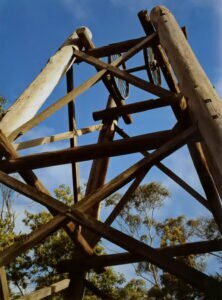 A walk close to Eltham and being about the gold rush era it was sure to be interesting. It’s well documented by Melanie Ball in her book Top Walks in Victoria. The tracks are well marked and getting lost would be unlikely for most walkers. There aren’t many mining relics left, there is no machinery at all except for the remains of a stamping battery foundation. Most mine shafts are closed off, but you can walk into the Fourth Hill mine. I didn’t have a torch so progress was limited. It gets dark very quickly as you walk into the hill. A very low roof means you need to take care or you’ll bump your head against some very hard rock! There was a replica poppet head erected in 1995 to honour the Anderson Creek miners and even though it’s in the book (published 2014) there was no sign of it which was a bit disappointing.